When the Braves traded for Justin Upton, who will join brother B.J. and Jason Heyward in what is arguably MLB's most talented outfield, I got excited for the upcoming season. 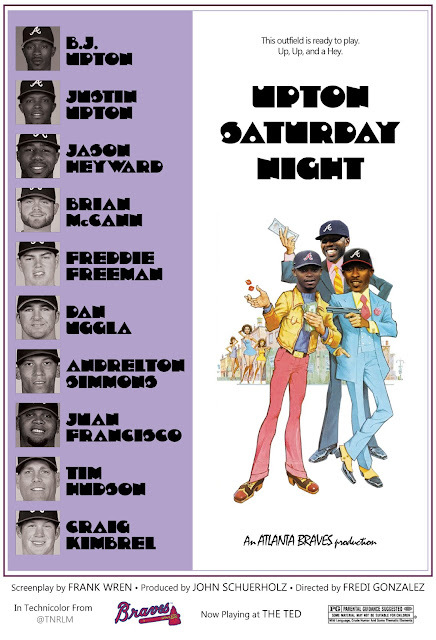 So much so that I signed up for Extra Innings again, after letting my subscription lapse for a few years. Like everyone else, I also latched on to the clever moniker "Up, Up, and a Hey" that someone came up with to describe our new outfield. 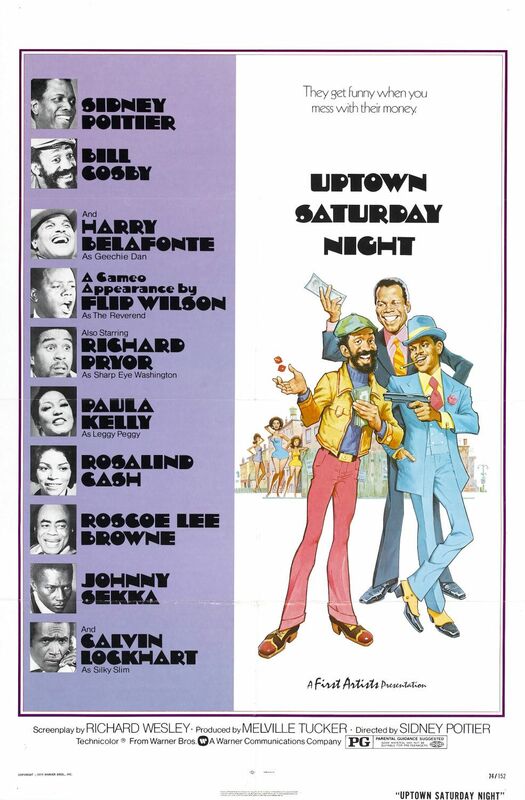 Another random thought popped into my head, and that's the 1974 comedy Uptown Saturday Night. I remember watching that flick (and its sequels) with my parents when I was a kid, and wondered if I could put together something that was an homage to that movie's poster, but featuring our new acquisitions. The original movie poster featured three primary characters in illustration, perfect for an outfield, along with an extensive cast of characters on the side panel, well-suited to a baseball lineup including a starting pitcher and a closer. A little bit of surfing and investigating later (not unexpectedly, it's hard to find a good image of a movie poster from almost 40 years ago; plus identifying the funky font used, or something close to it, was quite a task) I put together the elements needed to create a loving tribute to a classic comedy and the 2013 Braves. My Photoshop skills aren't the greatest, and I worked some fairly lo-res images, but I think the end result turned out to be pretty fun. Needless to say, GO BRAVES!